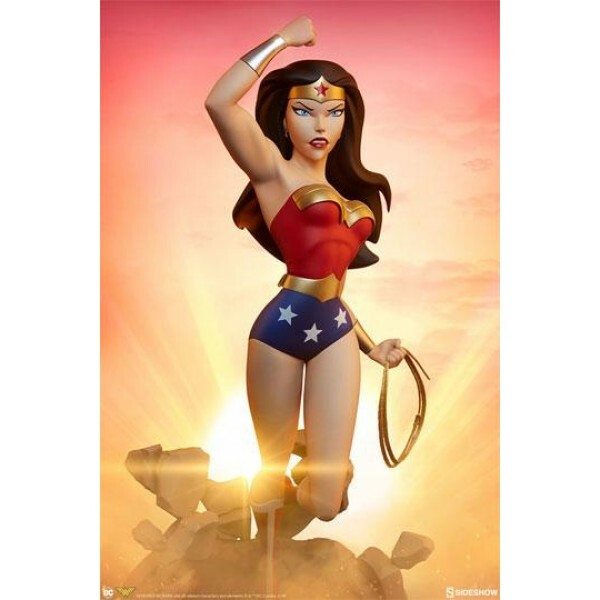 Sideshow is proud to present the next iconic character leaping into the Animated Series Collection, the Wonder Woman Statue. 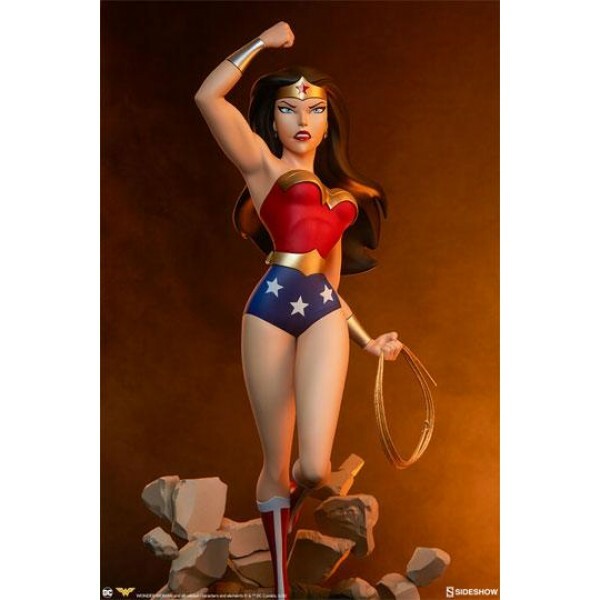 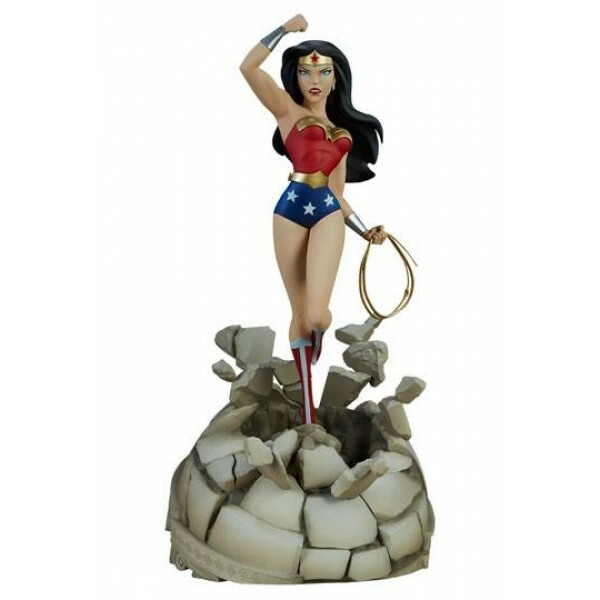 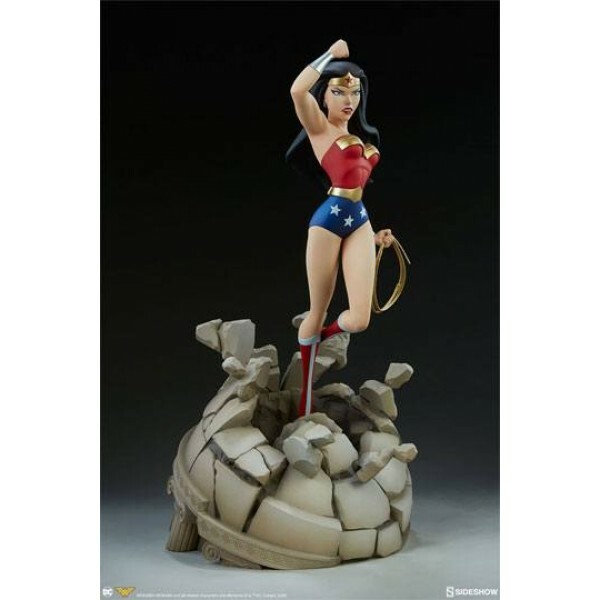 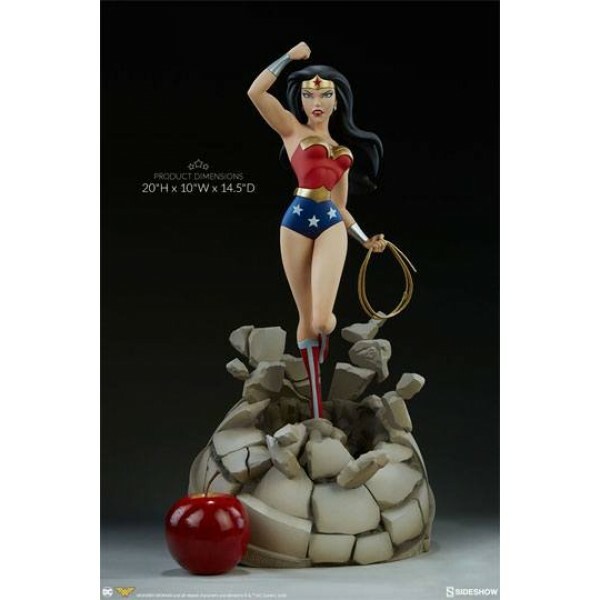 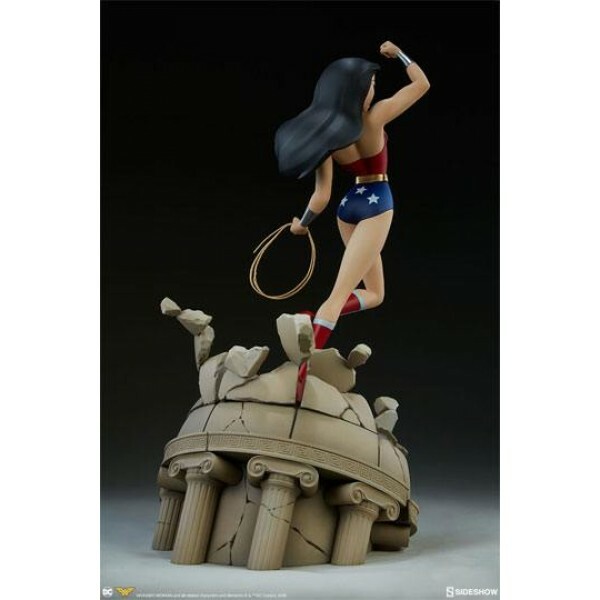 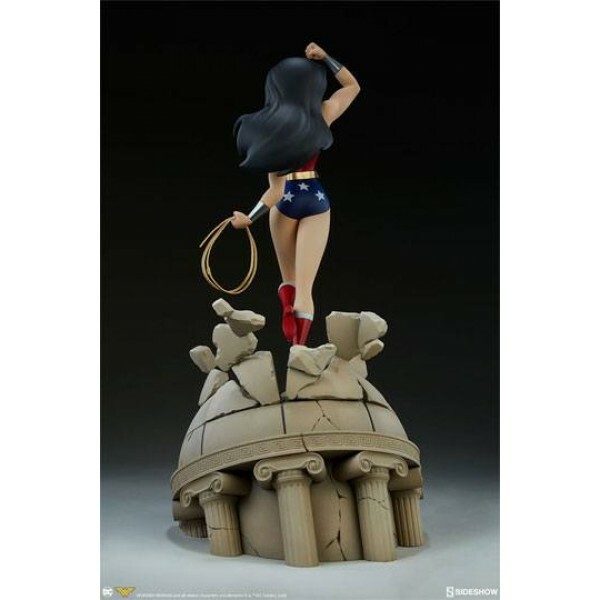 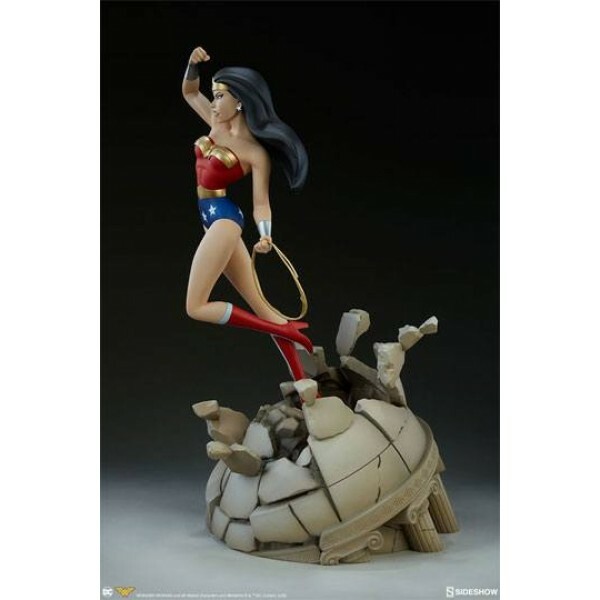 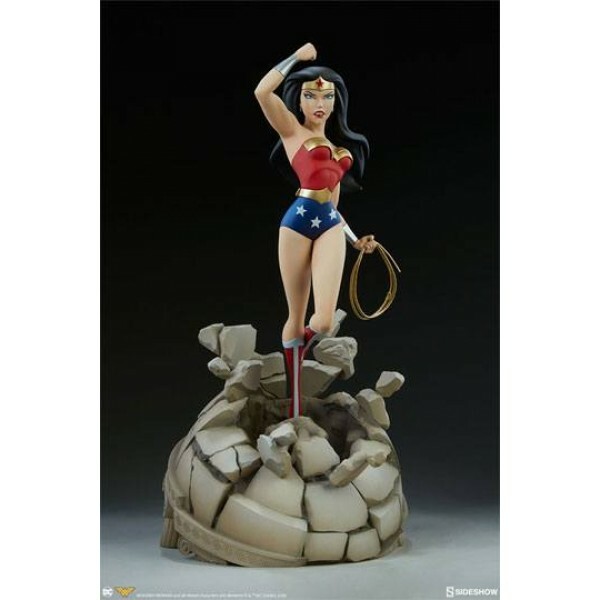 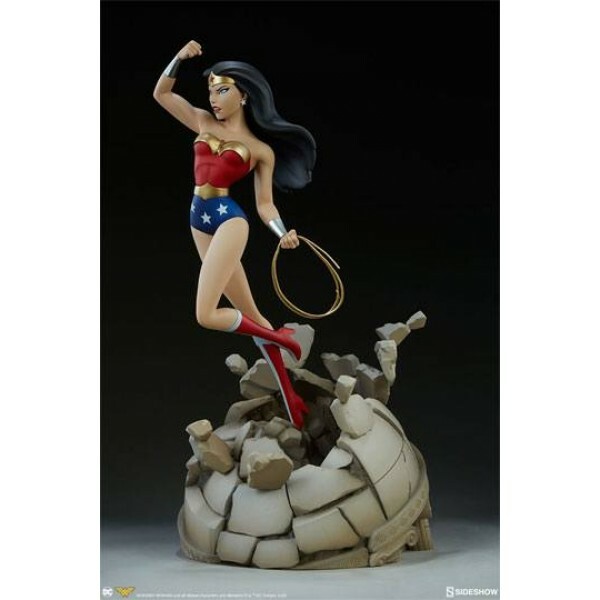 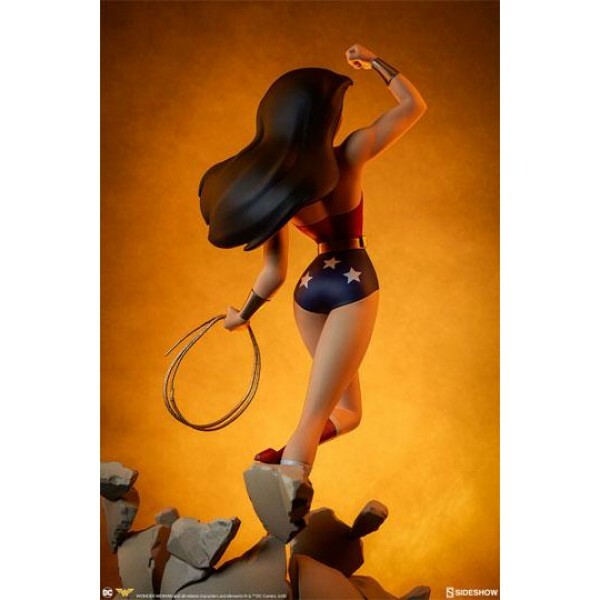 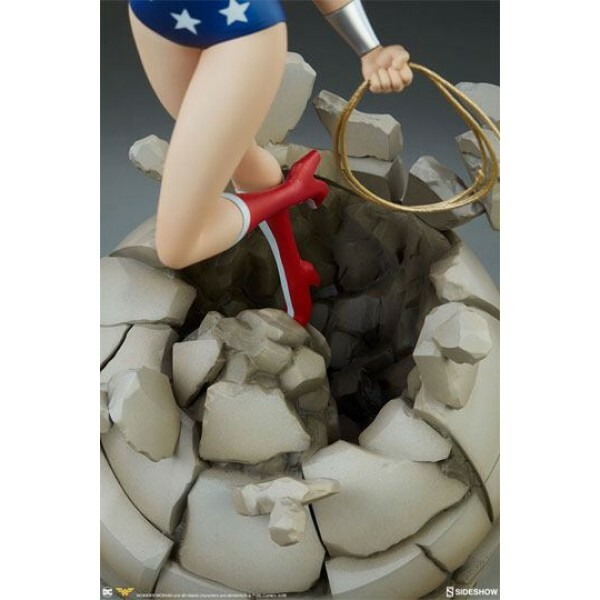 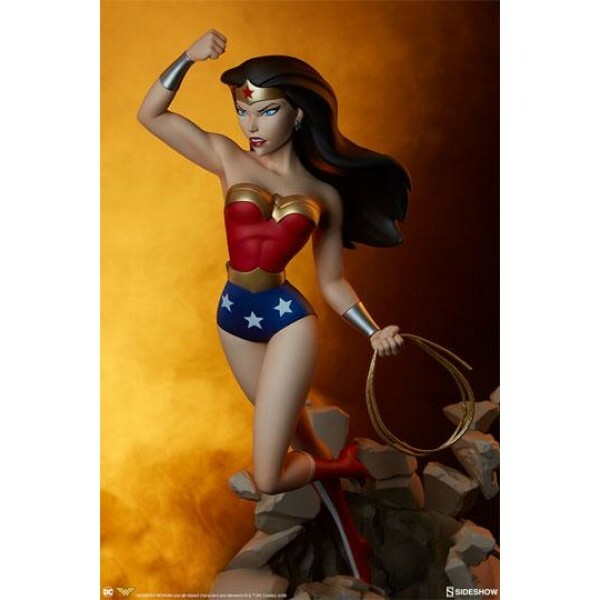 Inspired by her stylized appearance in the Justice League animated series, the dynamic Wonder Woman Statue measures 50 cm tall as she bursts through a Temple of Athena base with rubble crumbling forth. 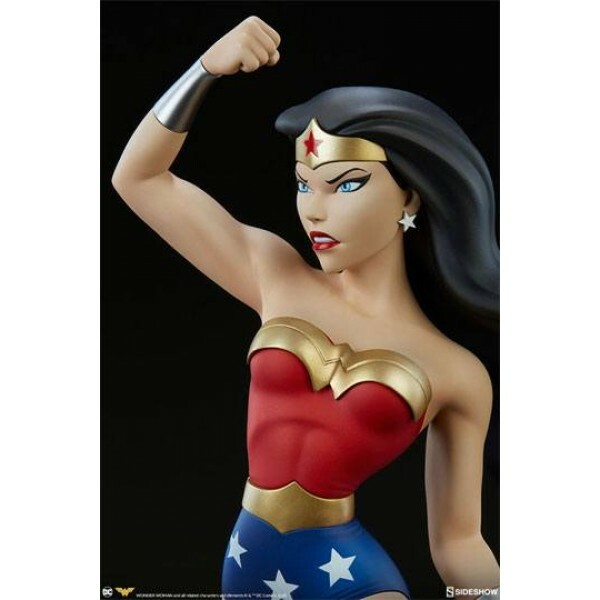 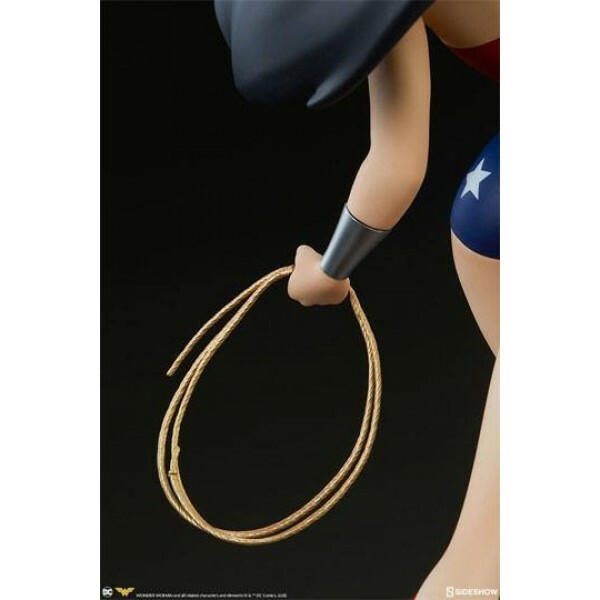 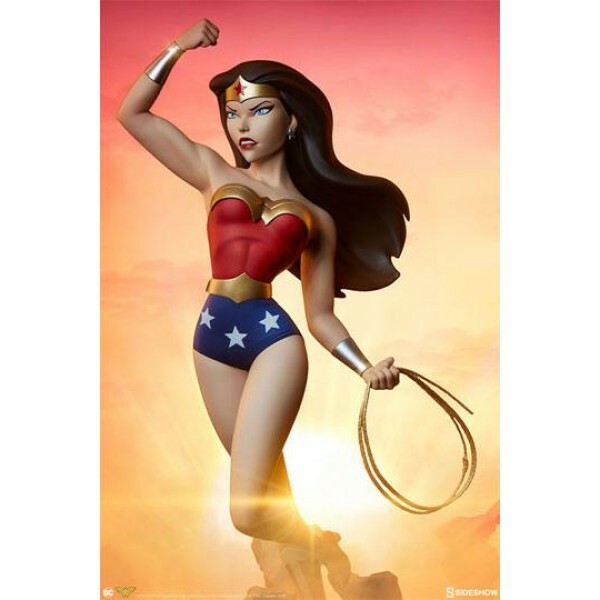 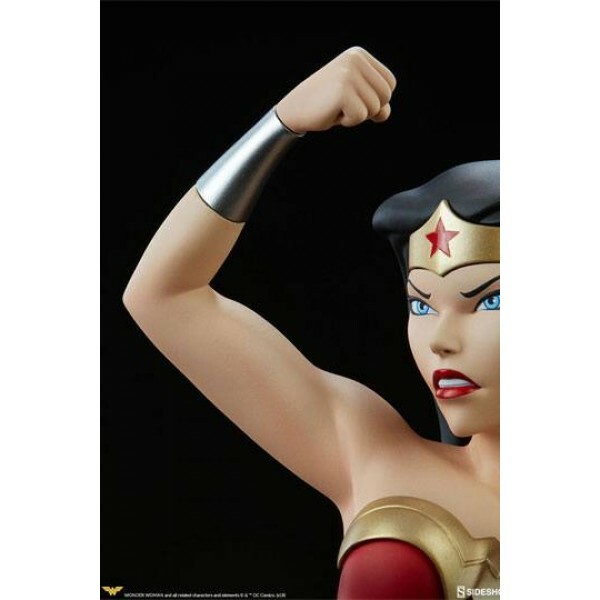 The resin Wonder Woman Statue features a sculpted costume designed to capture her iconic cartoon look. 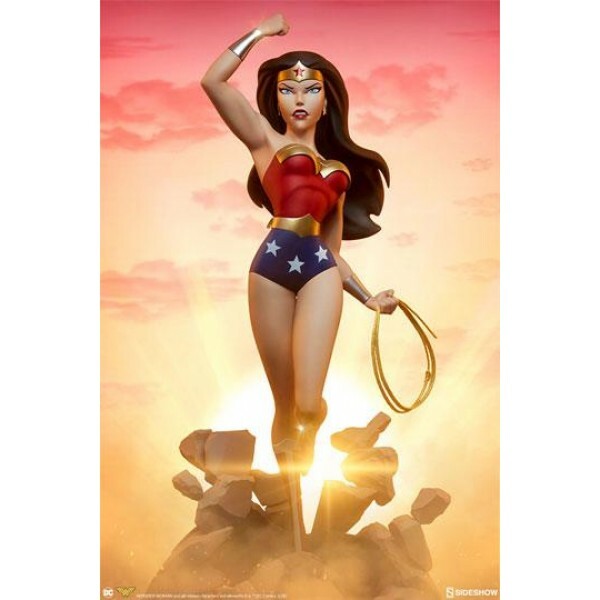 She wears her signature red top with golden armor and blue shorts with white stars, as well as red and white boots. Diana also has a golden belt, and her golden tiara with a red star accent in the center. 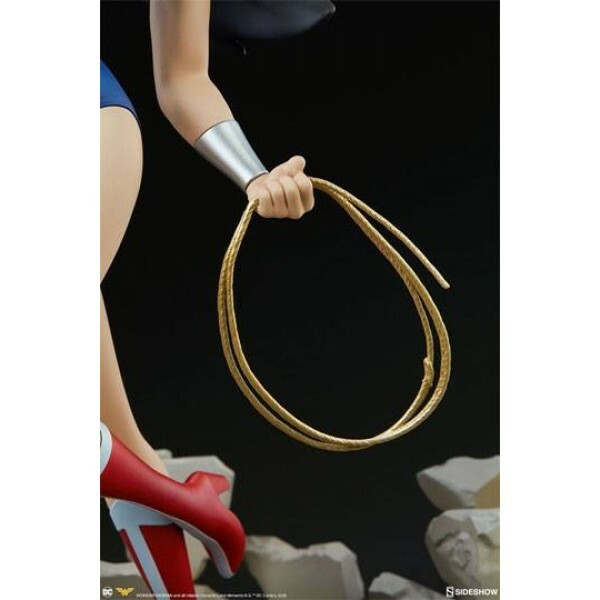 She bravely wields her silver Bracelets of Submission while clutching the Lasso of Truth in her left hand, ready to face any foe who dares threaten a daughter of Themyscira. 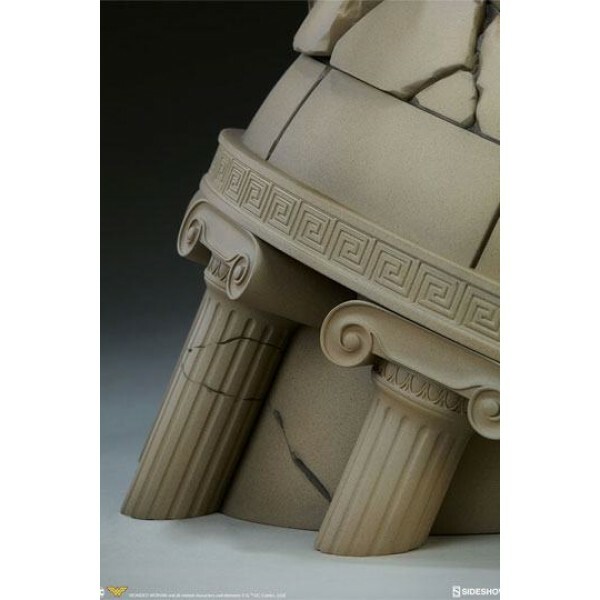 Great Hera! 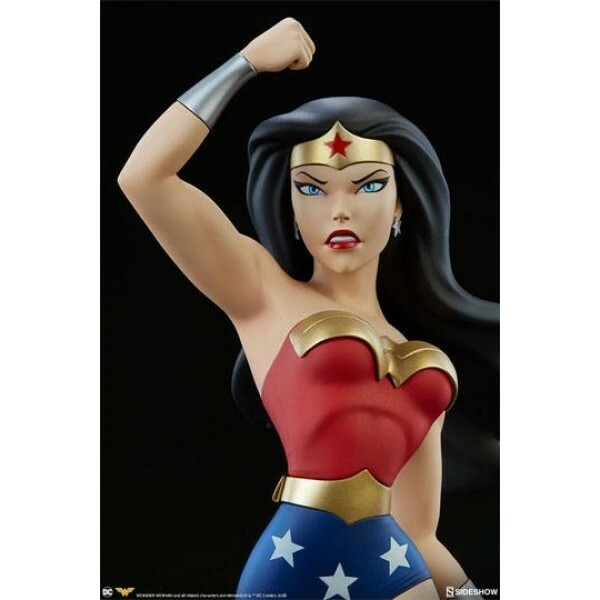 Bring an amazing Amazon to your DC collection and order the Wonder Woman Statue today!